More than once this winter we experienced a mix of snow, rain, sleet and ice. Add in temperatures reaching -12 degrees Fahrenheit and we've had quite a start to 2015. 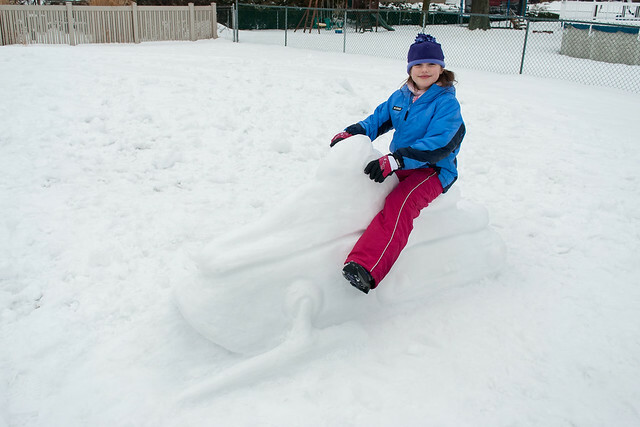 We did manage to built a few snow sculptures and take a ride on a snow snowmobile. More photos of our winter activities (including Valentine's Day, Monster Jam and lots of playing in the snow) are on Flickr.